BD's 2-Low Unloc Differential Kit allows the operator to disable the front wheel drive mechanism while full torque is available to the rear wheels. This allows for sharp full-lock turns without the front axles hopping or binding. Fits 1994-2002 Dodge Cummins 5.9L trucks. Fits 2009-2019 Dodge Ram 1500, 2014-2019 Dodge Cummins 2500, and 2013-2019 Dodge Cummins 3500 trucks. BD's 2-Low Unloc Differential Kit allows the operator to disable the front wheel drive mechanism while full torque is available to the rear wheels. This allows for sharp full-lock turns without the front axles hopping or binding. BD's 2-Low Unloc Differential Kit allows the operator to disable the front wheel drive mechanism while full torque is available to the rear wheels. This allows for sharp full-lock turns without the front axles hopping or binding. Fits 2001-2014 GMC/Chevy 6.6L Duramax 2500/3500 trucks. BD's 2-Low Unloc Differential Kit allows the operator to disable the front wheel drive mechanism while full torque is available to the rear wheels. This allows for sharp full-lock turns without the front axles hopping or binding. Fits 2015-2018 GMC/Chevy 6.6L Duramax 2500/3500 trucks. BD's replacement heavy duty billet torque convertor with ENHANCED STALL for your 2008-2010 Ford 6.4L Powerstroke w/ the 5R110W transmission. A $400 refundable core charge will apply. The BD AutoLoc commands the torque converter to lock up, and stay locked up, any time the exhaust brake is applied in third and fourth gears. This not only helps with engine braking, but because there’s no clutch slippage, transmission oil temperatures remain low. 1999 Dodge Cummins 5.9L - Significantly increase the flow in your Bosch fuel system with this kit. It replaces the banjo bolts on the OEM lift pump, fuel filter and at the inlet of the VP44 injection pump. Includes a port for monitoring fuel pressure. 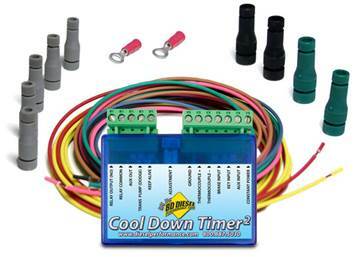 2000-2002 Dodge Cummins 5.9L - Significantly increase the flow in your Bosch fuel system with this kit. It replaces the banjo bolts on the OEM lift pump, fuel filter and at the inlet of the VP44 injection pump. Includes a port for monitoring fuel pressure. BD-Power 1050070 Fuel Plug for your 2003-2007 Dodge 5.9L Cummins is designed to block “block-off” your factory pressure relief valve found on your 5.9L Cummins. The BD-Power Fuel Plug will allow you to maintain consistent rail pressure and is especially beneficial to higher horsepower trucks. 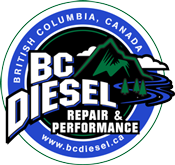 An OEM/Stock replacement diesel fuel injector made by BD Diesel Performance for your 2011-2014 Ford Powerstroke 6.7L diesel. A $150.00 refundable core charge will apply to each injector. An OEM/Stock replacement diesel fuel injector made by BD Diesel Performance for your 2011-2016 GMC/Chevy 6.6L Duramax LML truck. A $175.00 refundable core charge will apply to each injector. 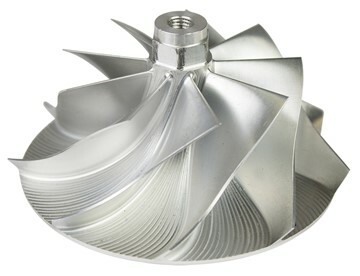 Prevents turbocharger damage during hot engine shutdown. Can be controlled by defined EGT temp, by time, or by manual controlled shutdown.